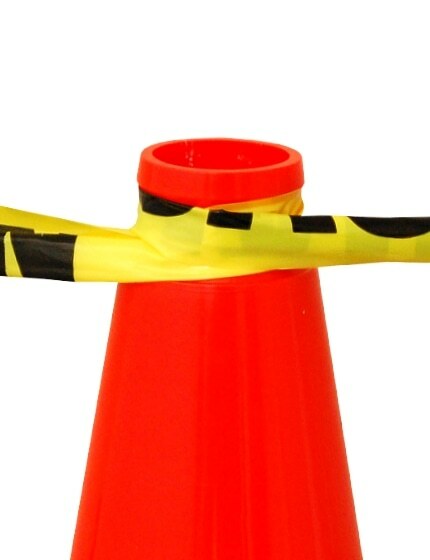 At 36-inches tall, this traffic cone is the largest on the market. The corrugated black rubber base helps this channelizer stick to the asphalt through high-speed winds and storms. The cone is fully recyclable and contains over 50 percent post-consumer materials. Your choice of 10 lb or 12 lb black base. Order with molded-in high-intensity 6-inch and 4-inch retroreflective collars. No set-up charge for custom graphic, text and logos. Ships immediately. The traffic cones are teriffic! I needed them to safeguard my outdoor shed from the snowplowers who clear my driveway! Product was delivered quickly and order was accurate. Safety cones are providing the right barricade necessary for limiting road access to playground area. Product was just as it was advertised! Very happy! The fluorescent green traffic cones arrived in great condition and quickly! They are strong and we expect to last a long time. The imprint with our store name on them made them even better, and more secure. I ordered cones and cone signs. The cones were priced competitively and are a really heavy weight. Combined with the cone signs, the 36" cones stand out. They are being used in a private school parking lot and are bold and large. No more parents going out the wrong way. Shipping was super quick and packing secure. Would highly recommend. 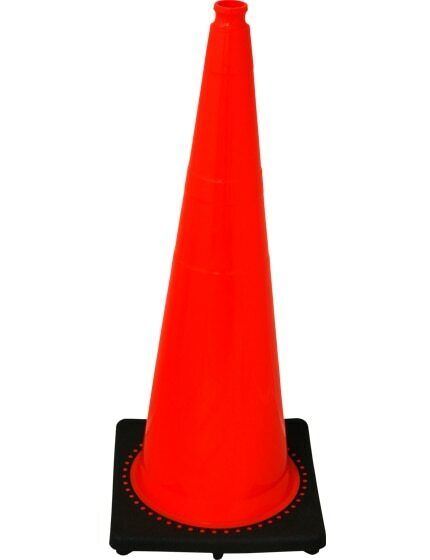 We just received our traffic cone that we ordered for a reserved parking space. Wow! we are so impressed, exactly what we ordered and the quality is exceptional. Thank you! Traffic Safety Store are great people to order from, a great price on there cones along with fast shipment to my door step. Cones were as described and pictured. Very happy with product!